The last autochthonous Pyrenean bear dead? This article from Wildlife Extra is also interesting. 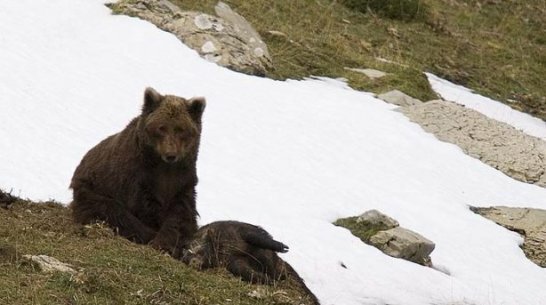 New research suggests Cantabrian female brown bears do not hibernate while cubs are still young proves anecdotal evidence first recorded many centuries ago. 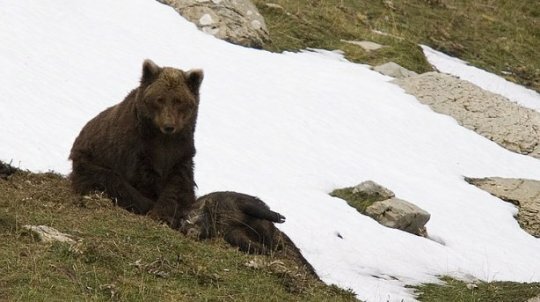 In the photo the bear called Camille sits next to the tasty feast of a dead wild boar, somewhere in the Pyrenees.